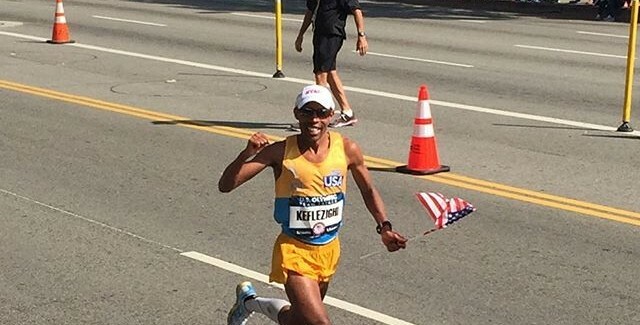 After a day to reflect, here are five thoughts on yesterday’s Olympic Trials marathons. USATF took a pro sports approach. The Oregonian’s Ken Goe might be the nation’s only remaining daily newspaper reporter who regularly covers track. He wrote the following back in 2011, but in the last five years the song has mostly remained the same. Stephanie Hightower , president/chair of the USATF, issued her state of the sport report yesterday, in which she recounted the successes of 2010, her hopes for 2011, and talked briefly about the search for a new CEO. I think that mantra encapsulates why the USATF is failing the sport. Nowhere in her report did Hightower talk about the fans. If track and field ever is going to regain its foothold in the U.S. sports scene, somebody is going to have to care about the people who buy tickets and tune into televised meets. These Olympic Trials, however, did take an approach more appropriate for a professional sport that understands it cannot exist without spectators. On Friday, Sarah Barker wrote The Things You Don’t See At The Olympic Marathon Trials Are The Most Interesting for Deadspin. In it she decried the selection of Los Angeles for the races over a bid by Houston, the 2012 hosts. LA was too hot and too runner-unfriendly. Given the forecasts for high temperatures, she wondered why the race wasn’t moved to earlier in the day and broadcast on a tape-delayed basis. All of those complaints make sense if you look at the Trials as an amateur affair, one that is of, by, and for the athletes and their families and friends and no one else. Putting the athletes first is the only thing that matters in such a situation, because they are the only things, period. But professional sports do things that are not good for the athletes in order to gain wide exposure, make money, or both. NBA players do not want to play back-to-back-to-back nights, it’s not good for performance, and it usually doesn’t result in a fair matchup, but it’s how you fit 82 games into a profitable regular season. Major leaguers don’t like day games after night games, but it happens for the same reasons. An NCAA basketball championship game played in a domed stadium usually throws off depth perception and results in some pretty ugly shooting, but that’s how you get 50,000+ fans in the door. Less than optimal scheduling and less than optimal sites are the price you pay for making a living at a sport. The Trials went to Los Angeles on a gamble. The gamble was that NBC would be more likely to give it the live TV treatment that it only got in the 1980s (and even then it was only the men’s race), that it would get wide media attention, that it would be part of a push for a 2024 Olympic bid, and that a west-coast late-morning start would put it into east-coast viewing time. For the most part, all of that paid off. Weekend warriors will sometimes watch pro road racing. Toni Reavis, probably our best domestic TV announcer, says over and over again that “there is an almost complete lack of interest in the sport of foot racing by the experiential runners, much less by the general sports fans.” For the most part, he’s right. For a moment let’s leave out the issue that it is impossible to watch a race if you are participating in it, and look at what went right yesterday. I have no idea if my experience yesterday was normal, but I have a feeling it may have been. I watched the race with our local road runners’ club, who filled up a local sports bar. This place has twelve big screens and nine of them were showing the marathons. There were big whoops and hollers when the races started, when the top three crossed the finish line, and when Desi Linden passed Shalane Flanagan (this is “little Detroit”, after all). Basically, a bunch of running dorks made took over the place–when I showed up at 12:55, I got the very last parking space in the lot. Better yet was something I learned after I got there. I didn’t see all of the people I expected to see, and then was told that there were two other similarly large viewing parties spread around town. We’ll have to wait and see what the TV ratings are, but it sounded like this was a huge hit. There were two reasons it happened like this. One is that it they were organized by and word spread through our large organized marathon-in-training groups. The other was that we had five people with local connections running in the races. These were people we saw start up as youngsters, we saw dominate the local high school scene, who we followed as when they went away to college, and whose families are still active in the community. Athletes could qualify via a half-marathon time and a significant portion of them did, and there has been a lot of debate as to whether that was a good thing or not. I think it’s here to stay given that Galen Rupp, the USA’s best distance runner, not only made the team but did it without making a huge commitment. 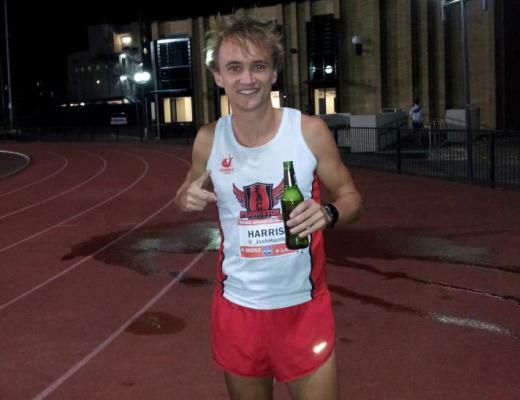 But in the big picture I think the larger advantage is to allow more qualifiers–three of our five locals made it with the half-marathon–and that means broadening the interest in elite running with this big once-every-four-years opportunity. Maybe tough conditions are a good thing. The weather didn’t turn out to be as challenging as expected. The temperatures barely got past 70 degrees (instead of the predicted 80+) and the 30% California humidity makes that far less oppressive than it would be anywhere east of the Rocky Mountains. The end result was no upsets at all, which is pretty unusual for an Olympic Trials marathon. There were four clear favorites in the women’s competition and they comprised the top four, with the one considered the longest shot being the odd one out. There were two very strong favorites in the men’s competition and again they finished one-two. Jared Ward wasn’t high in most pre-race rankings, but in retrospect his youth, improvement curve, and experience in a hot LA marathon should have made him a safe pick. The conventional wisdom is that these six represent the USA’s best chances for success at the Summer Olympics. Maybe it isn’t weird that the favorites all made the team, and this could be due to the warm conditions. Being able to race in the heat requires training in the heat, and heat isn’t easy to find in the US in January and February. An established professional has the means to pick up and move to Florida for a month, but a broke outsider does not. A truly talented insurgent like Ward can make the team under these circumstances, but the pretenders will get wiped out. Out at the bar yesterday I chatted with a local who finished 25th in the 2000 trials race, and he talked about how different everything is now than it was back then. The USA only qualified a single men’s marathoner to the Olympics, Rod DeHaven, who finished a well-beaten 69th. That low point convinced Keith and Kevin Hanson to start up their Distance Project and bring team training back to the American running. Their initial modest goal was to eventually put someone on the Olympic team, and now they’ve done it for the third straight Olympiad. There’s a lot of improvement to make. 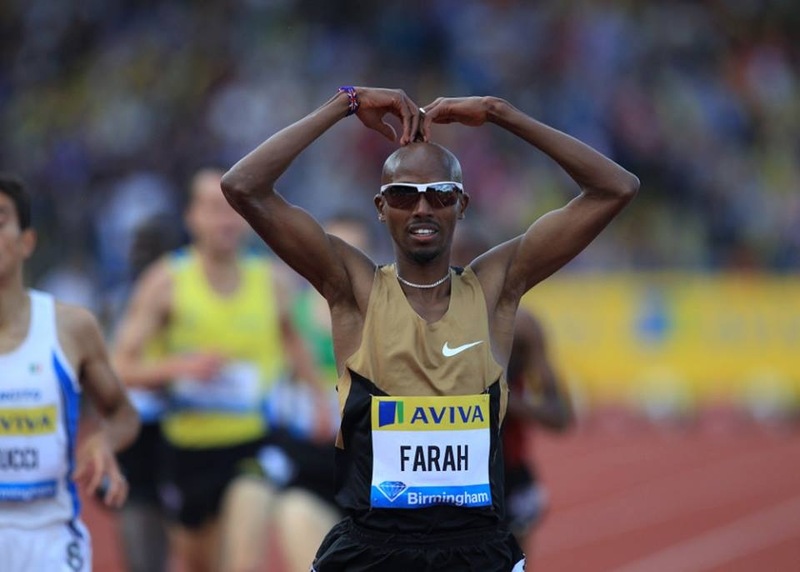 USATF may have made a good decision for race host, but there are some other points of execution that have to improve. The biggest one was live results and athlete tracking. Massive races like New York and Chicago can do it well, but yesterday’s Olympic Trials athlete tracking basically didn’t work during the race. Almost worse than that was that athlete tracking was not easy to find. If our little local 3,000-runner marathon can do it on a shoestring budget, there is absolutely no reason that a race with a $600,000 prize purse cannot make it work. Another is the TV broadcast. The camera work was good, and the coverage of the race was significantly better than the tape-delayed package we got four years ago. By this I mean they attempted to show us actual racing as opposed to just running–they covered the breaks at the front and, when the field spread out, the passes for third. 1) Who is that on camera? Yes, they have their names on a bib, but you can’t always read them. When on-screen graphics show names, include their jersey/shorts color schemes. 2) What are the time gaps? The real-time knowledge is out there because it was all over Twitter. Same for mile splits. Remember, if information is important to the viewer, make sure they can get it in a noisy sports bar. 3) Just shoot Tom Hammond already. Thankfully I couldn’t hear him and his usual brainless blather, but I was told he announced that “Darren Ritzenhein has dropped out”. Oy. It’s not like he’s never heard that name before, he just. doesn’t. care. Neither do the idiots at NBC who continually hire him. One more way that USATF needs to professionalize the Trials is to put some kind of teeth into public appearance requirements. Galen Rupp was totally insulated from the press before the race, and in general that’s not how pro sports work.